The movie story deals with Ravi who is badly IN NEED OF MONEY to bail out his father who was jailed in a cheating case. Ravi seeks the help of conman Chandu and they both team up to pull off a heist. They have the task of selling a land to one billionaire and in turn they get 1 crore rupees. Numerous characters come in and unexpected events take place. How they overcome all the problems and succeed forms rest of the story. © 2018 Scratchu.com Risk (All the Best) | Srikanth, J.D. 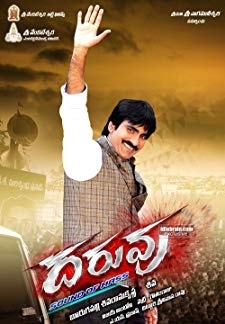 Chakravarthi, Lucky Sharma, Pradeep Singh Rawat, Srinivasa Rao Kota, Brahmanandam, Raghu Babu, Rao Ramesh, Duvvasi Mohan, Pragathi, Telangana Sakuntala, Krishna Bhagavan, Brahmaji, Suthi Velu, Narsing Yadav - Risk (All the Best) (2012) | Telugu Movie | 5.6/10 | Synopsis : The movie story deals with Ravi who is badly IN NEED OF MONEY to bail out his father who was jailed in a cheating case. Ravi seeks the help of conman Chandu and they both team up to pull off a heist. They have the task of selling a land to one billionaire and in turn they get 1 crore rupees. Numerous characters come in and unexpected events take place. How they overcome all the problems and succeed forms rest of the story.... Watch Online!! !